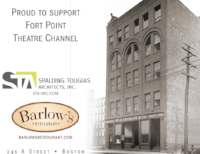 Fort Point Theatre Channel has launched a movement-focused learning/performance program for children and families. 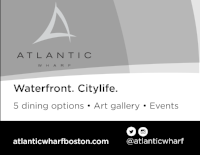 On Sundays during the summer of 2018, we invited children and families to join us for dance, art, and music-filled events along Fort Point Channel. On Sunday, August 19, we welcomed dance teaching artist, Chanel Thompson (aka Miss 5678) to share her love of hip-hop dance. Children came to learn some fun steps and choreography! 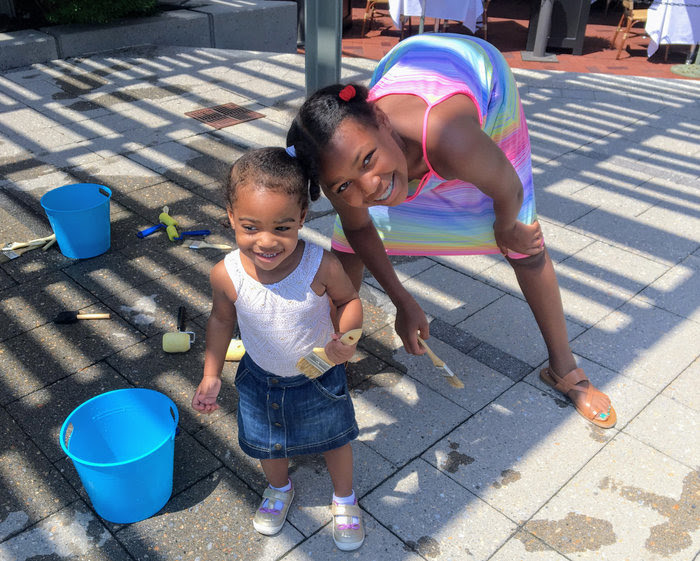 Or to make mini-painting, read a book, paint water designs on the patio, or explore our music instruments and dance props. Dance Free Sundays offered kids and families dance lessons and chances to perform in a choreographed dance number or theater piece. A “music and dance playground” invited everyone to explore and play with a keyboard, drums, stage props, and costumes. Each week featured a different dance style, such as ballet, hip hop, folk, creative dance, and tap dance, with guest dance teaching artists and musicians. Story Dance invited children (and parents/caregivers) to dance, play, and use their imaginations to act out a story. A six-foot-high book (the stage scenery) was a central element. The covers of the giant book open, enabling kids to walk through and “enter” the story. Story Dance combined natural movement and storytelling with music, games, hands-on materials, and musical instruments. All programs would be free. Participants would build skills, explore arts, and perform. We would seek collaborations with community organizations, libraries, and others.